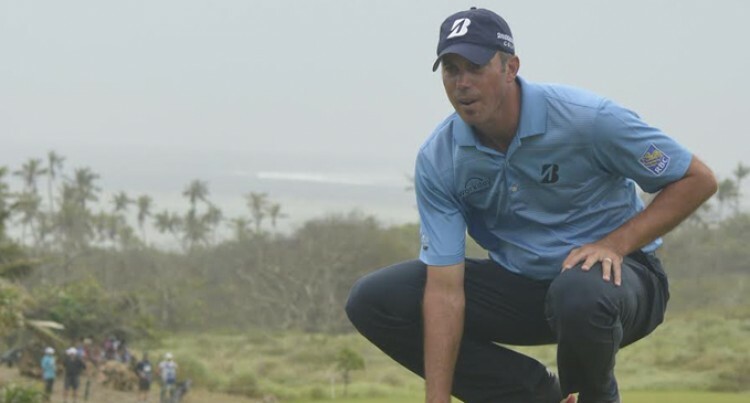 Matt Kuchar is confident to defy all odds to be the first American to win the Fijian International today. The world’s ranked No. 16 shot a three under par 69 yesterday improving on previous scores of (74, 72) to head the leaderboard with overall score of 215. “You would like to be three, four or five shots in the lead, two shots are better than one or square,” he said. He was jubilant after he became the first golfer to record under par score going into the final rounds today. “It was nice to get under par for the week it is a real feat. Done with Thursday and Friday, today was easier. So I was excited to get it to one under,” Kuchar said. He described his shot on the 16th hole as one of his scariest shots on the course. “It was sitting on the fairway bunker and I had to get it above the rocks and underneath the trees. There was just enough of a window between the two and it looked that with a perfect five iron I could pull off the shot. Meanwhile he enjoyed playing alongside Australian pro Aron Price who also shot three under par 69 for 217 (78, 70). “We never know what the conditions will be but it is as good gap from Aaron (Price) he is a good steady player,” he said.